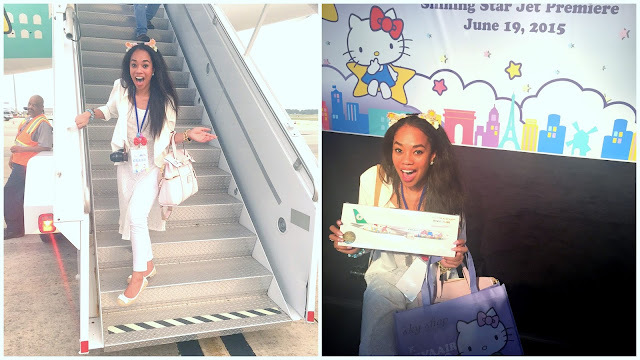 HELLO KITTY Air plane arrives in Houston! If you follow me on any of my other social media channels you have seen that I got the great pleasure of viewing the Hello Kitty plane as soon as it landed here in Houston, TX. I pretty much died and went to heaven. I felt like I was in a Hello Kitty theme park for a little while. Before the plane arrived from Taipei we spent time in an indoor area with music, exhibits, and lots of food! I tried a little bit of everything, dashing from food stations to selfie booths. I was basically at my own personal Disney Land, but much better. SANRIO LAND. 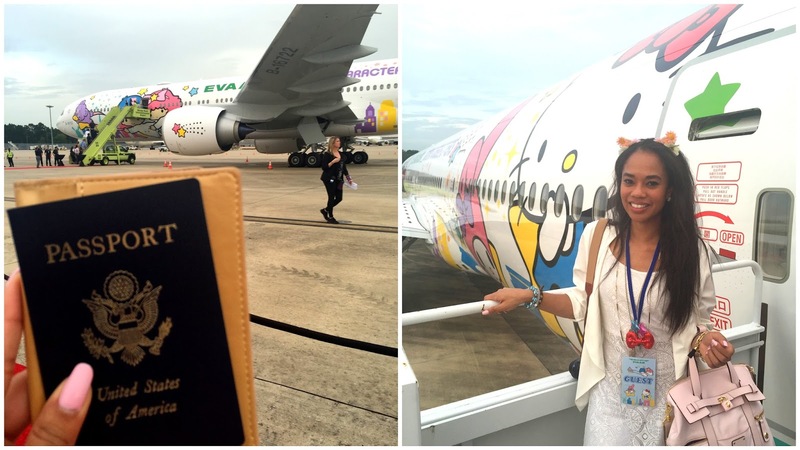 When Hello Kitty hopped out of the plane she danced to Michael Jackson. She was even dressed as an astronaut because HELLO HOUSTON. One small step for Hello Kitty, one GIANT LEAP for Eva Air. Enough words... Here are photos from the event! 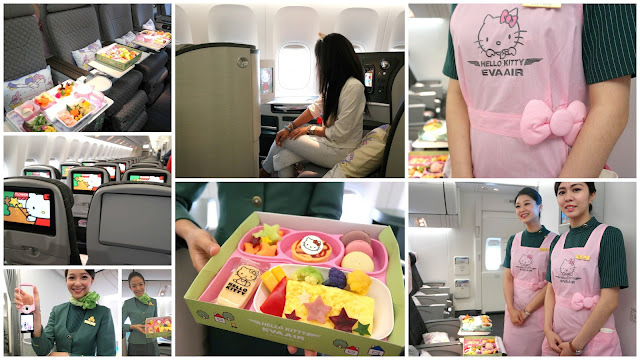 I wish I could fly Eva air domestically, oh well! This gives me an excuse to randomly fly internationally. First Class, best seat if you have a 15+ hour flight! You can even lay down. I couldn't help but snap a ton of photos of the food. Its so cute, and when do you get excited over air plane food? The flight attendants also look so cute! I love them. 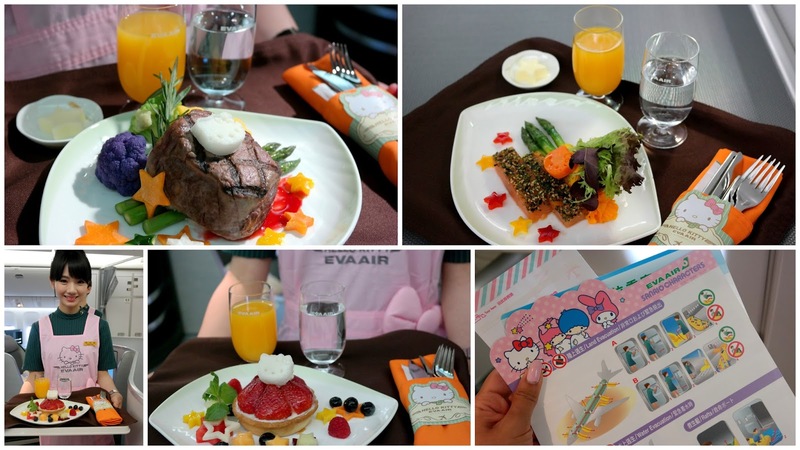 They were also very friendly, Eva Air has a very high quality hospitality rating and is constantly winning awards for their outstanding service. Cheers with a Hello Kitty Strawberry Milkshake... It was really good. If you remember from my Comic Con Post from Last year, I saw the lady who Draws Hello Kitty (Pictured with the Red Hair). I got to see her again and YES she is still so cute and chic! Some of the other artists for the Twin Stars and My Melody were here too but I am not Familiar. Also, the Lady in the chic white dress is the Sanrio International ambassador. AND YES MY FACE IS STILL STUCK LIKE THIS.